This is called the ‘Four Walls Technique’ (Levine 2006 – p. 164). You ask the other person a series of rhetorical questions (usually four) before presenting them with a choice. Typically, by that stage they have no option but to say ‘Yes’ or lose face by appearing inconsistent. So, say a student is not certain about whether they would like to attend this optional summer course your school is offering: ‘Do you think English is important today?’ ‘Would you agree that we need to make the most of our time?’ etc… (Not that you would ever do such a thing…). 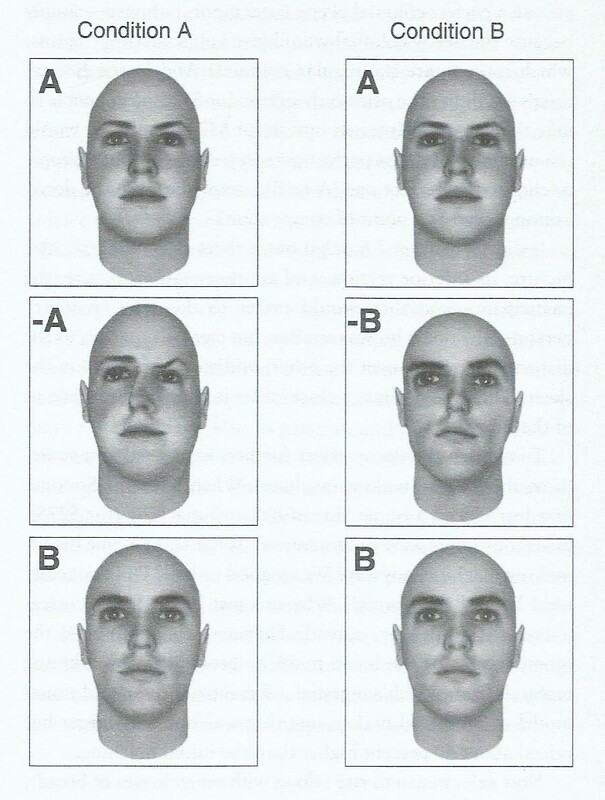 Perceptual Contrast: Faced with options A and B, you are more likely to choose B if you are given some information about it, after receiving less information about A. For instance, if you spent 1 min talking about coursebook A and then 5 min about coursebook B, chances are your client will go for B. It seems that because people feel they are more knowledgeable about B, that somehow gives them greater confident in their choice. Now here is the bizarre thing: this works even if A is completely unrelated to B! (Tormala & Petty 2007). So, instead of talking about coursebook A, you could spend that first minute talking about a coffee-maker before plunging into your spiel about the coursebook!! OK – now you know what to do if you want a student to go for course B (Not that you would ever do such a thing…). Cognitive Dissonance: To get students to choose option B, first get them to reject option A somehow! In a fantastic study, researchers offered students 2 M&Ms (say, red and green – though they alternated the colours to avoid any bias). Say a particular student chose the red one. Immediately afterwards they presented the same student with the green one and a blue one. Which one did s/he choose? That’s right – students overwhelmingly chose the one they hadn’t rejected initially; that is the blue one! Because they had rejected the green one initially, somehow the students had constructed a justification in their mind (e.g. ‘It won’t taste good’) and incredibly, this influenced their choice the second time round! (Paul Bloom – YT: Lecture 16, 29:00) So if you would like a student to take Exam B rather than Exam A, just get them to compare Exam A with a clearly better exam C initially (Not that you would ever do such a thing…). Ariely, D. “Predictably Irrational” HarperCollins 2008. Bloom, P. “Introduction to Psychology” Yale Courses, You Tube 2008. Levine, R. “The Power of Persuasion” Oneworld 2006. Tormala, Z. I. and Petty, R. E. (2007) “Contextual Contrast and Perceived Knowledge: Exploring the Implications for Persuasion” Journal of Experimental Social Psychology, 43: 17-30. Can you imagine employees singing a song about their CEO? ER’s soldiers had one for him. Can you imagine a coach avoiding the use of the name of his arch-rival for fear it might undermine morale? The British issued a memo to that effect for ER. Can you ever imagine Republicans liking the Democrat candidate more than their own?? So it was with the British 8th Army and ER! 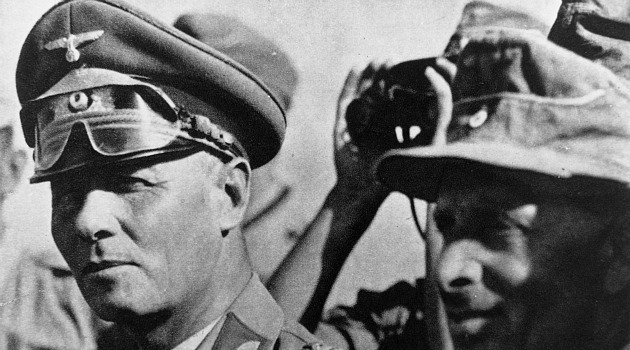 ER * – aka ‘the Desert Fox’ – was the most brilliant tactician of WW II. His exploits were simply unbelievable! Yet I can sense you are already wondering ‘What could all this possibly have to do with teaching? ?’ Much more than would appear at first sight. Read on. Leading by Example: ER was one of those Generals who would never ask his soldiers to do something he was not prepared to do himself. At the critical moment during the crossing of the river Meuse in the French campaign he joined his engineers struggling to construct a bridge under heavy enemy fire – ‘I thought I’d give you a hand’ he said. His troops were the first to cross the river in the breakthrough which decided the battle for France (Deighton 1993). In class: Who are your ‘troops’? They are your students of course! Whenever you ask them to do something, (e.g. write a paragraph, make a short speech or take part in a role play) make a point of doing it with them. Not only will they benefit from a good ‘model’, they also stand to gain by looking at how you do it, but above all they will be motivated to try harder because you will be seen to be sharing the difficulties with them (Dornyei 2001). Leading from the Front: One of the maxims of Blitzkrieg (‘lightning war’) was that the commander should be as close to the action as possible in order to be able to make a personal appraisal of the situation, the difficulties his troops are facing and to be able to respond quickly to changing circumstances in the battlefield (Hart 2002). ER certainly followed that principle thus achieving spectacular successes against much superior forces which were however commanded by people far from the scene of action. Seeking out Opportunities: Sometimes ER would set off with his fast-moving units without any clear-cut ‘plan’ for a ‘reconnaissance in force’ – ostensibly just to scout out the enemy positions. The orders were: ‘Just take 3 days’ provisions and follow me’. 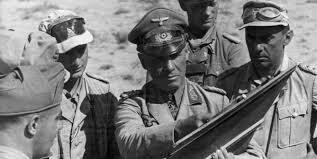 Very often he only had a sketchy idea of the dispositions of the enemy forces, but he trusted in his amazing ability to exploit ‘openings’ in the enemy defences he didn’t even know existed! Many a time these ‘exploratory’ sallies turned into ferocious attacks as soon as an opportunity presented itself (Young 2006). Probing the Defences: Contrary to the British who would often make a plan of attack and then repeatedly bash themselves against strongly defended positions, ER preferred ‘probing attacks’ (Collier 2003). If the enemy resisted stubbornly he would give up and try somewhere else. In this way he conserved his strength and through a process of ‘trial and error’ he would often come across a poorly defended sector where a breakthrough was almost effortless. In class: You try this, you try that and suddenly something appears to work! Suddenly an activity actually takes off and the students seem really involved! You have achieved what Psychologists call ‘flow’ (Csikszentmihalyi 1997). Then what do we do? Amazingly, very often we stop and we go back to our ‘plan’!! So here is the idea: Scrap your plan and carry on! The same applies to a series of lessons: if you find your ss like songs for instance, just give them more of what they like! Never mind questions of ‘balance’ – the chances are that sheer exposure will make up for all the things which they are not doing in class! In class: Playing it safe is a sure recipe for boredom. So take a chance – try out something different, something ‘risky’. Try that ‘noisy’ game; give your students controversial material to argue about; let them take over the lesson for once; take them outside the classroom; share some of your secrets with them… Think of inspirational teachers like Mr Keating in ‘Dead Poets Society’ or Miss Brodie in that wonderful book by Muriel Spark – would they be so effective if they always ‘played by the book’? Ignoring orders: Time and again, ER ignored general principles, directives and even specific orders. Upon arriving in Africa his instructions were to wage a strictly defensive war. 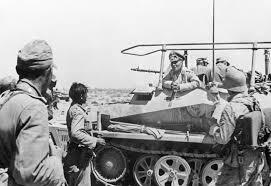 As if… 10 days after he had arrived, and without even waiting for his units to reach full strength he launched a fierce attack and chased the British out of Cyrenaica. So shocked were even the Germans by his audacity that the Chief-of-Staff General Halder declared ER had gone ‘stark raving mad’! (Collier 2003).